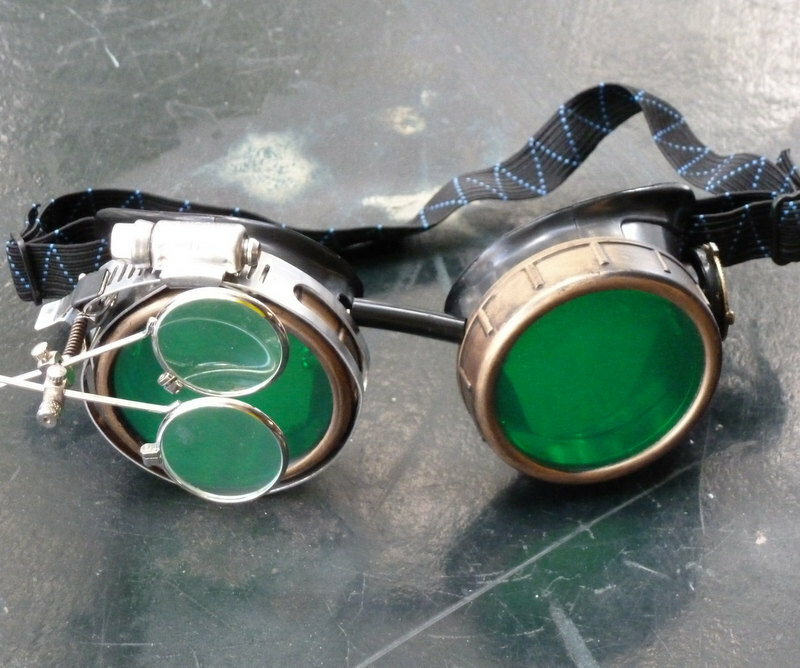 A pair of goggles with beautiful emerald green lenses. 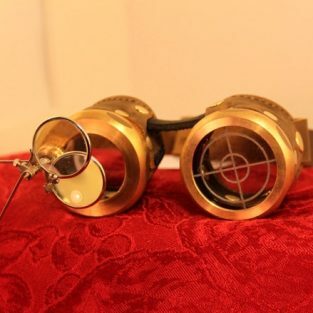 Comes with a double eye loupe and decorated with a bronze compass rose on either side. 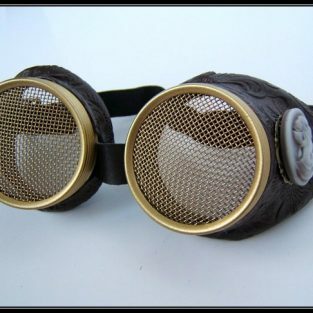 Elastic strap is adjustable for fit and comfort. 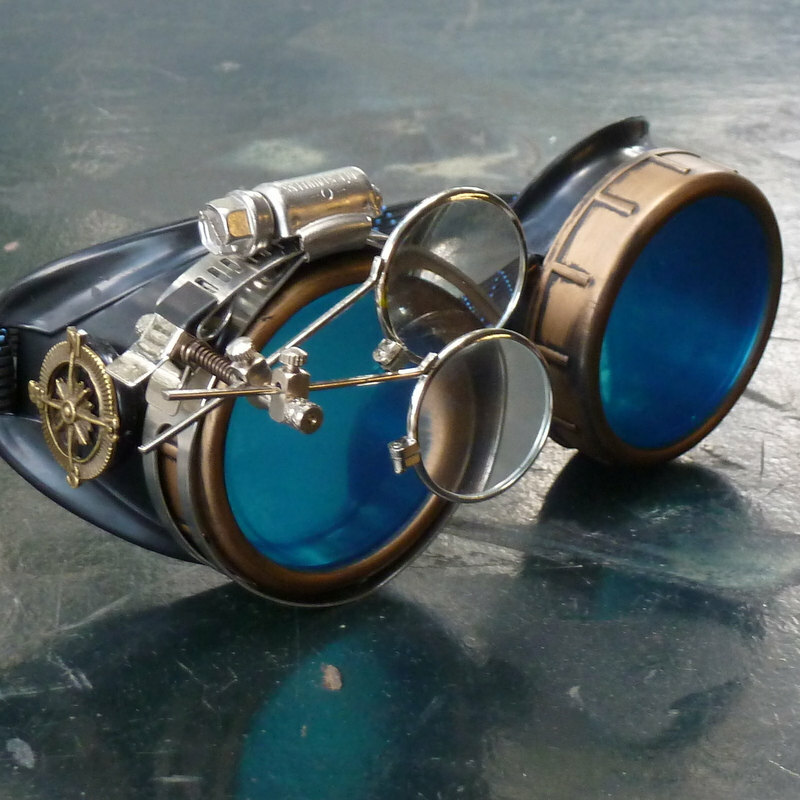 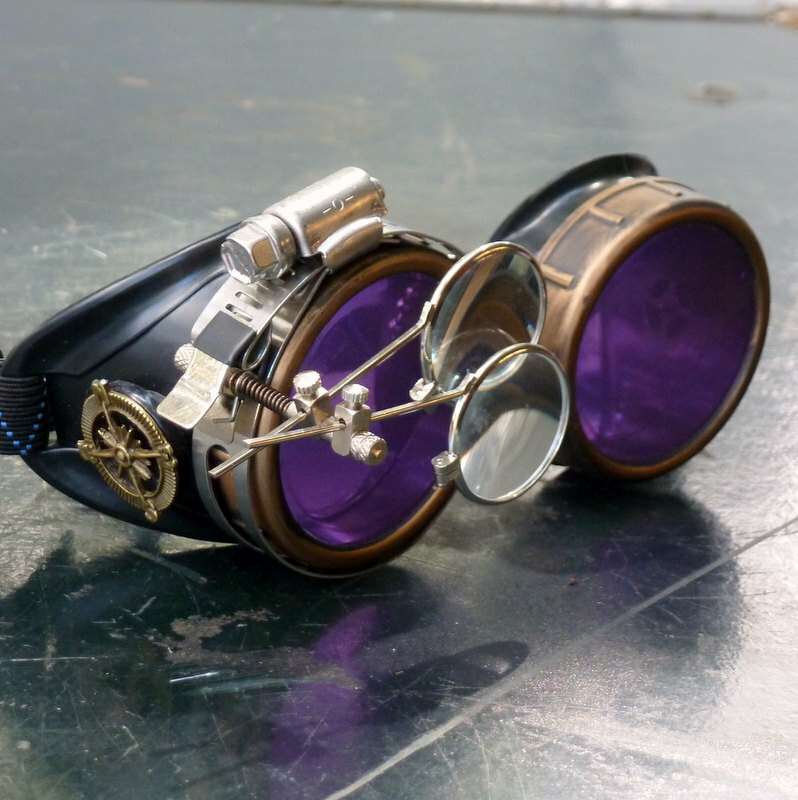 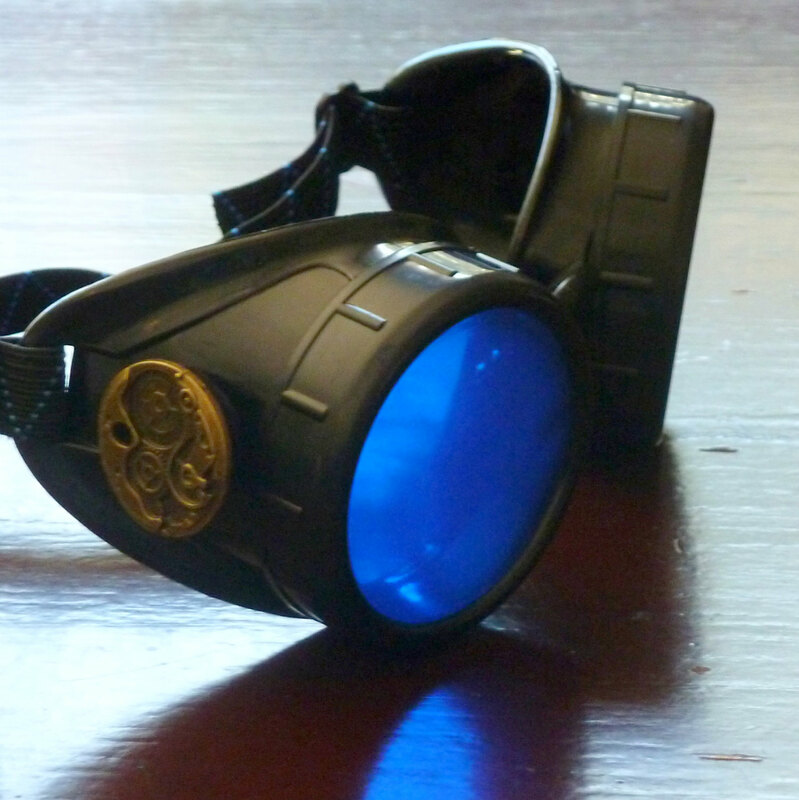 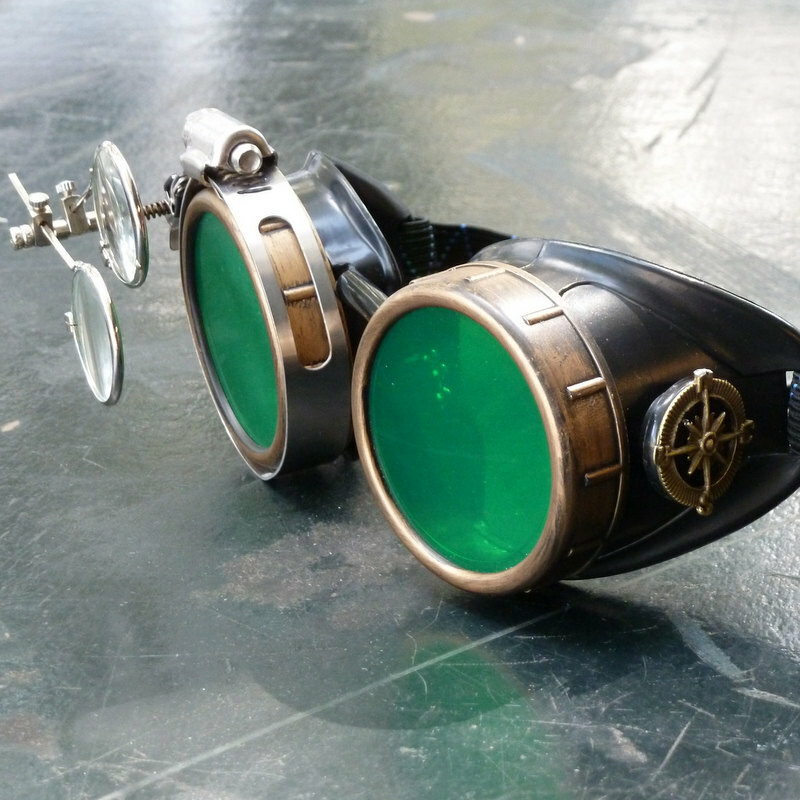 Nobody gets in to see the wizard, but you might have a shot in these Emerald City Compass Goggles. 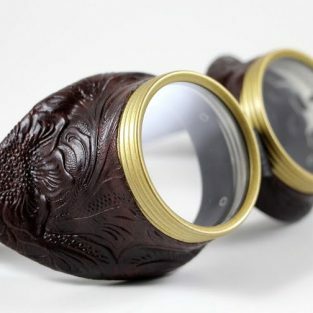 See the world in an Ozian glow through the emerald green lenses and see it up close using the magnifying double eye loupe. 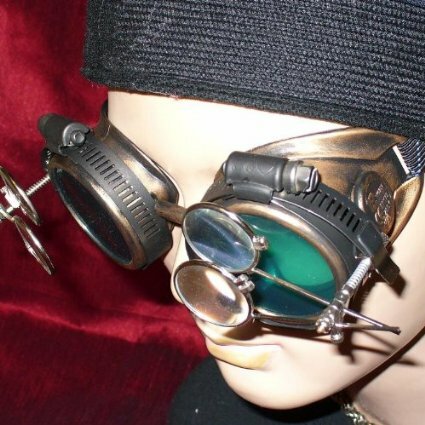 The bronze compass on either side of the smooth black matte body makes every witch (North, South, East, or West) feel included, and can help point the way down the yellow brick road. 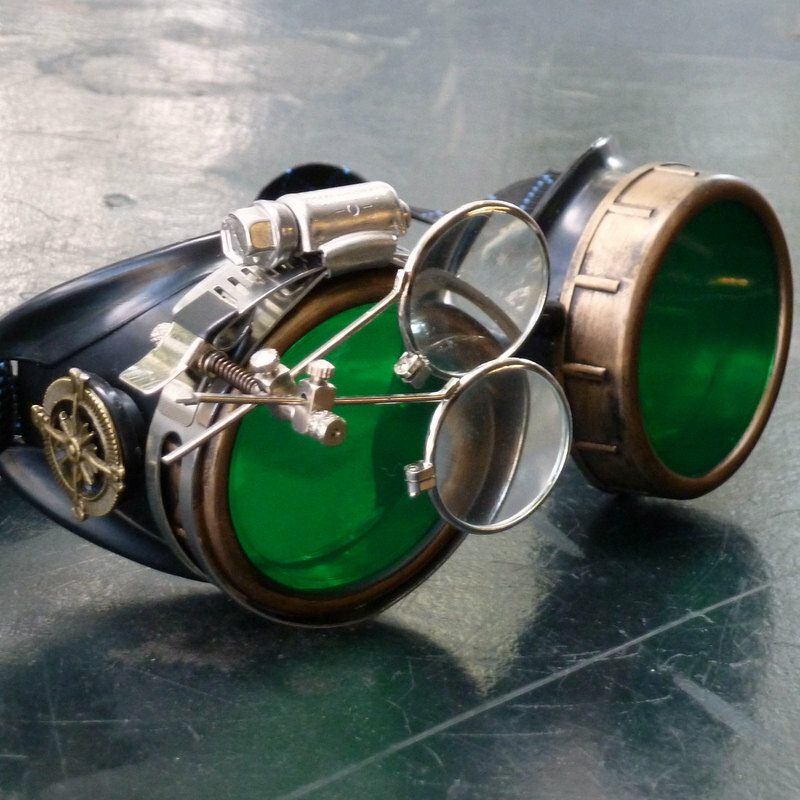 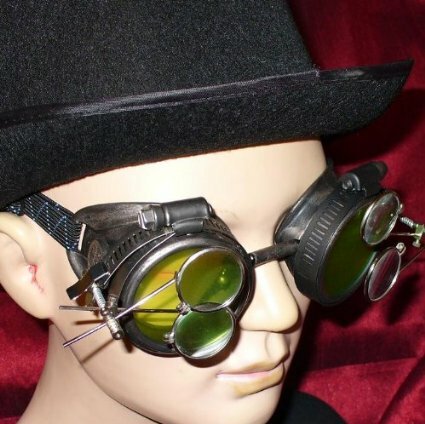 Be the first to review “Deluxe Emerald City Compass Goggles: Double Eye Loupe, Green Lenses” Click here to cancel reply.